This person grew up as an artist, inventor,and a scientist. Born April 15th,1452 died May 2nd,1519. If you guessed Leonardo Da Vinci,then you are correct. He grew up in Vinci,Italy. In this bibliography,you will learn about Leonardo Da Vinci. 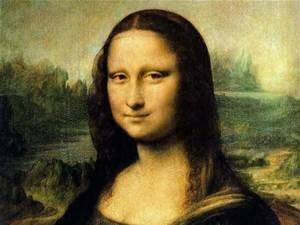 So,about Leonardo Da Vinci,he made a prototype and the Mona Lisa or as italians preferred the Monna Lisa. The Last Supper and a diagram of the bones. He made the catapult,and a plane with no windows or doors just wings and handle bars. Also there are handles that make the wings go in. So those were the inventions he made. Mona Lisa was the most famous art that was in the Renaissance. The prototype I was talking about earlier is actually called the “Flying Machine.” Did you know that he made the 1st ever crossbow in the last 5-6 centuries? Well now you do! So what do know about Leonardo da Vinci’s art and inventions? Everything! Did you know that Leonardo after reached the age of 20 he moved to Florence then moved to his hometown. When he made the Mona Lisa the lady never smiled and he made it like she did she did smile. And he was an apprentice for another artist. He also was a scientist. He made the scientific inquiry.